MPV is an open source, cross platform video player that comes with a minimalist GUI and feature rich command line version. 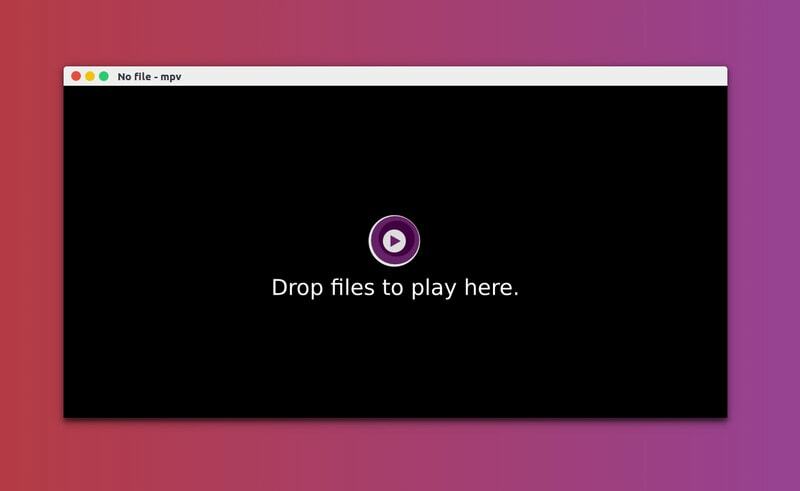 MPV is an open source video player available for Linux, Windows, macOS, BSD and Android. It is actually a fork of MPlayer. The graphical user interface is sleek and minimalist. MPV has all the features required from a standard video player. You can play a variety of videos and control the playback with usual shortcuts. Minimalist GUI with only the necessary controls. High quality video output and GPU video decoding. Can play YouTube and other streaming videos through the command line. CLI version of MPV can be embedded in web and other applications. Though MPV player has a minimal UI with limited options, don’t underestimate its capabilities. Its main power lies in the command line version. Just type the command mpv –list-options and you’ll see that it provides 447 different kind of options. But this article is not about utilizing the advanced settings of MPV. Let’s see how good it is as a regular desktop video player. MPV is a popular application and it should be found in the default repositories of most Linux distributions. Just look for it in the Software Center application. You can find installation instructions for other platforms on MPV website. Once installed, you can open a video file with MPV by right-clicking and choosing MPV. The interface has only a control panel that is only visible when you hover your mouse on the player. As you can see, the control panel provides you the option to pause/play, change track, change audio track, subtitles and switch to full screen. MPV’s default size depends upon the quality of video you are playing. For a 240p video, the application video will be small while as 1080p video will result in almost full screen app window size on a Full-HD screen. You can always double click on the player to make it full screen irrespective of the video size. If your video has a subtitle file, MPV will automatically play subtitles and you can choose to disable it. However, if you want to use an external subtitle file, it’s not that available directly from the player. You can rename the additional subtitle file exactly the same as the name of the video file and keep it in the same folder as the video file. MPV should now play your subtitles. 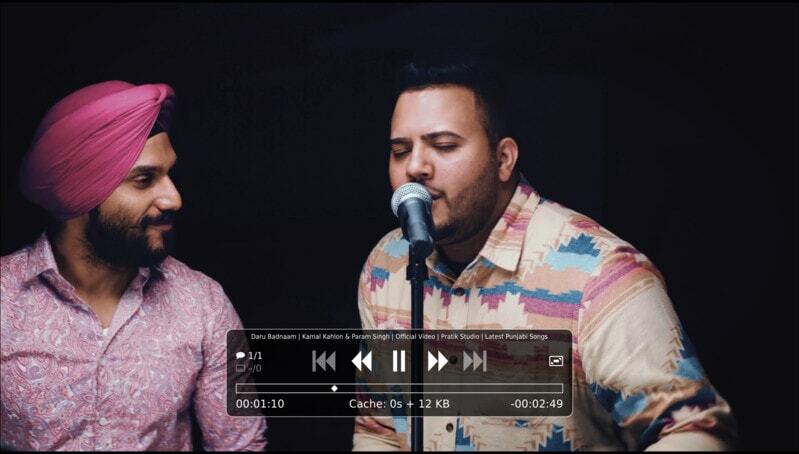 An easier option to play external subtitles is to simply drag and drop into the player. To play online videos, you’ll have to use the command line version of MPV. I didn’t find playing YouTube videos in MPV player a pleasant experience. It kept on buffering and that was utter frustrating. Should you use MPV player? That depends on you. If you like to experiment with applications, you should give MPV a go. Otherwise, the default video player and VLC are always good enough. Earlier when I wrote about Sayonara, I wasn’t sure if people would like an obscure music player over the popular ones but it was loved by It’s FOSS readers. Try MPV and see if it is something you would like to use as your default video player. If you liked MPV but want slightly more features on the graphical interface, I suggest using GNOME MPV Player. Have you used MPV video player? How was your experience with it? What you liked or disliked about it? Do share your views in the comments below. I have to disagree with the idea that VLC is the best player on Linux. SMPlayer has been my pefered player for a long time. I don’t know how long but for more then 10 years. I’m not claiming that SMPlayer is the best, I’m just saying that VLC does not beat it. To be honest both have their advantages and disadvantage, and my system is not complete with out both. The one thing I don’t like in SMPlayer is its UI. They should really improve on it. Is your dislike due to appearance or functionality? It definatly looks out of place on my system as opposed to VLC that uses the system theme. With that said, I find the UI to be very useful and It allows me to customize it to my own desire. Since I’m more concerned with useablity then appearance does not bother me.